In Matthew 16:18, Jesus said, “…I will build my church, and the gates of hell shall not prevail against it!” This promise gives us good reason to be optimistic about the future of the church! It also motives us to want to be a part of a local expression of His church, so that we can be a part of what Jesus has promised to build and bless. After meeting in Downham for three years and clarifying our doctrinal position and the commitment membership requires, thirteen of us covenanted together last September to form a new local expression of Christ’s body. Four others joined our church membership before the charter was closed at the end of 2017. 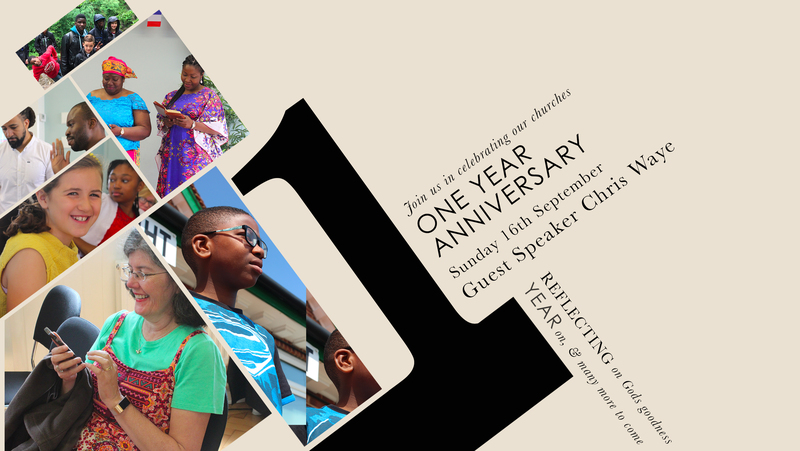 This Sunday, is one year since we officially organised and so we are celebrating one year of God’s goodness and blessing. We hope that you will join us as we hear testimonies from various ministries of the church, sing praises to God, enjoy fellowship and food after the service, and hear from God’s Word. Pastor Chris Waye, one of the church-planters who helped to establish the church, will be preaching in the morning service. I am excited about the message that he is going to be bringing to our church at this time. If you are a member, a regular attendee, a friend of our church, or a visitor, we invite you to join us for a wonderful day of worship. And please make plans to stay after for our Bring and Share lunch. It is what is says on the “tin,” a lunch of food that we all bring and share! If you would like to learn more about our church, we are offering a newcomers fellowship on Sunday, 30th September 1-2.30pm. Also, go here for more information about membership.